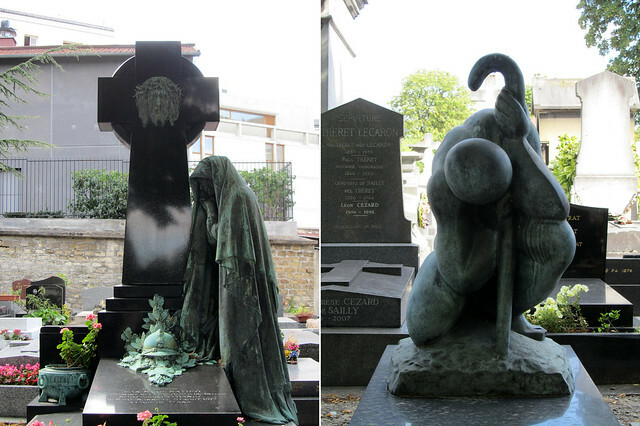 Cemeteries in Paris are rather stylised, with plenty of characters to the tombs. They incorporated not only classic imagery of loss and angelic guardianship but also modern arts and other personal/familial touches. 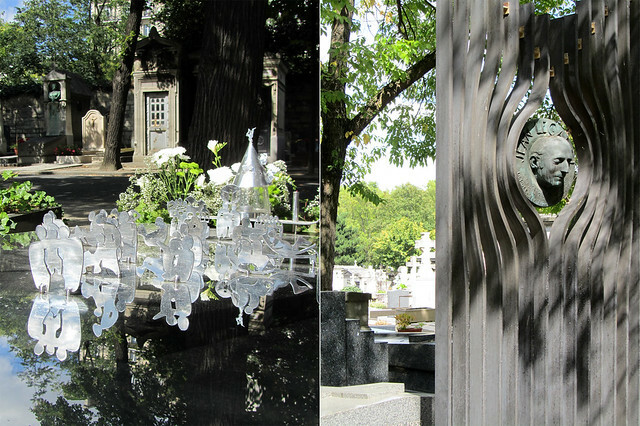 The photos above are from the Cimetière du Montparnasse which is located not too far from where we live. I took these photos last summer though, which explains the beautiful sunny sky that accompanied me that day. 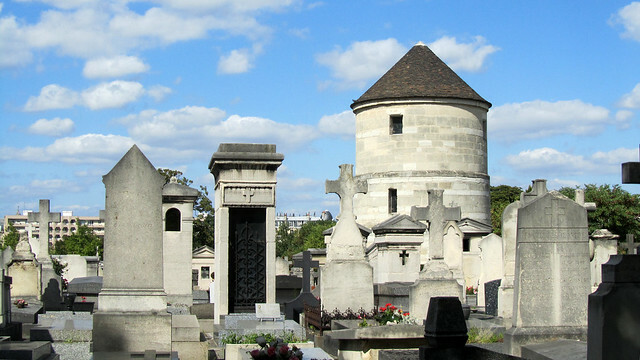 The more famous cemetery in Paris is that of Père Lachaise, situated in the north-east corner of the city. I have so far only been there once, during last autumn. 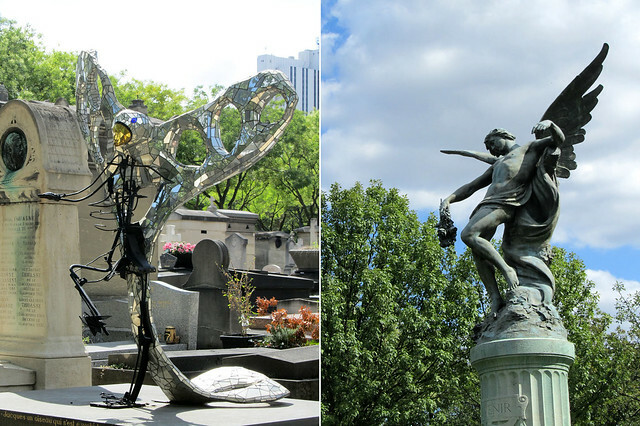 It is a very impressive site, far more varied than the cemetery of Montparnasse and with far more visitors who were there in search of their favourite personalities. I took quite a lot of photos there too, which I should sort and share with you some time soon. don’t know. it’s like, living away from asia, ghosts and phantoms stayed in asia and didn’t follow me here. my imagination doesn’t get work up here the way it would be at home. it’s more cultural association thing, i think.